AMFI EMT Compression coupling features steel/malleable iron construction and zinc-plated finish. It measures 5.75-Inch Dia x 6.811-Inch. Coupling with compression connection, has trade size of 4-inches. 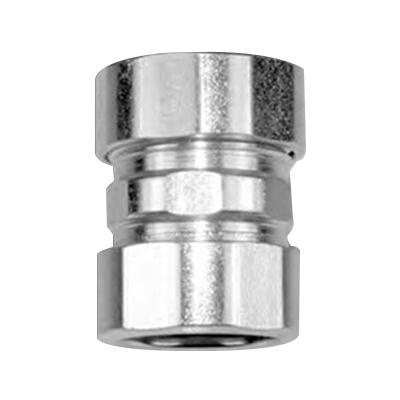 This concrete-tight coupling is suitable for joining two ends of electric metallic tubing. Coupling is cULus listed. * Inventory displayed is accurate as of 04/23/2019 00:40 EDT.